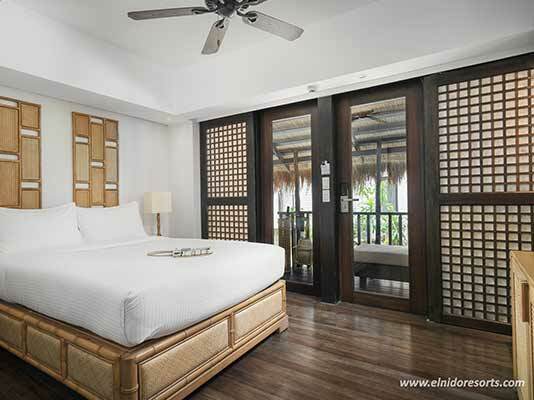 El Nido Resorts’ Eco-Discovery island resort, Miniloc, offers guests with a back-to-basics Filipino coastal village vibe with rustic or native design. In Miniloc, guests can swim with the 1.5-meter jack fish and get up close and personal with a variety of marine species just at its house reef. 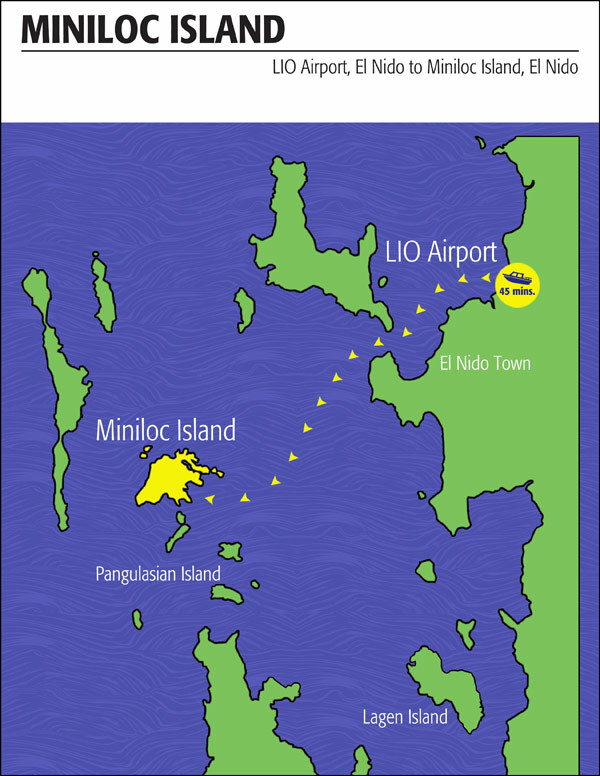 Miniloc Island is also a gateway to discover and explore the popular attractions around Bacuit Bay, such as the Big and Small Lagoons and Snake Island. 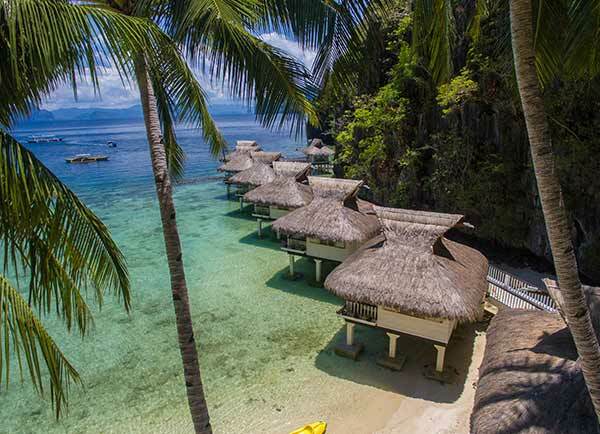 Miniloc Island has a total of 50 rooms that are thatched-roofed and furnished with indigenous Filipino materials. 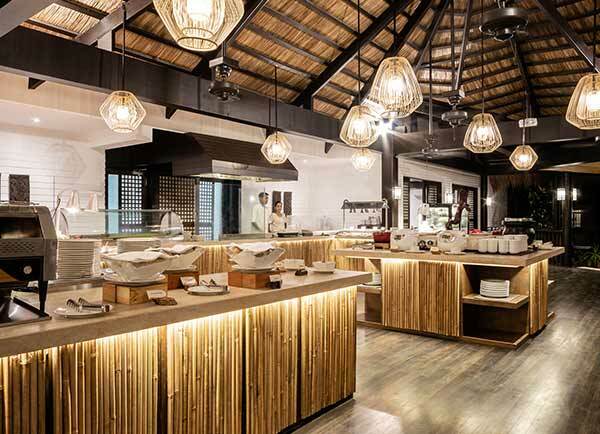 Floors are wooden and walls are covered in woven bamboo slats, locally known as sawali. All rooms have a private veranda. 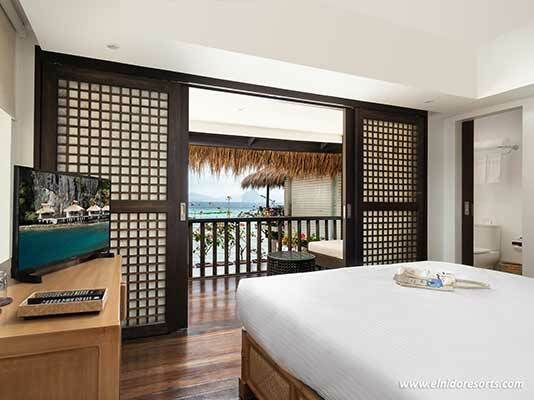 Also on stilts are the Seaview Rooms, which has two levels and a floor area of 43sqm. The rooms can fit four persons. The Garden Cottages are surrounded by tropical plants and just a stone’s throw from the beach. Each Garden Cottage has a floor area of 27sqm and can accommodate up to three persons. The Cliff Cotages are built on the cliffside of the island, offering a panoramic view of the resort and Bacuit Bay. 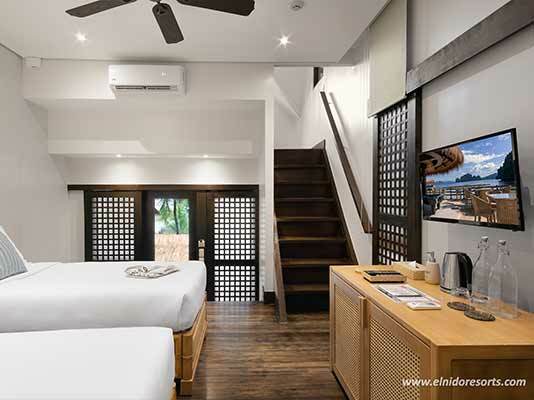 Each Cliff Cottage has a floor area of 43sqm to accommodate up to four persons. 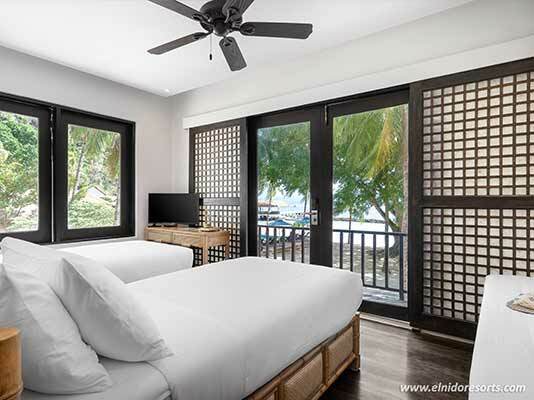 Situated right in front of Miniloc’s white sand beach, the Beachside Cottage has a 30sqm floor area to house three persons. Built on stilts, right beside Miniloc’s dramatic limestone cliffs, are the Water Cottages. Each Water Cottage has a 25sqm floor area and can accommodate a maximum of two persons. The Deluxe Seaview Rooms have been designed to showcase Miniloc Island as an eco-friendly resort. All rooms are wholly powered by solar energy, and installed with an efficient lighting system and ceiling fans. 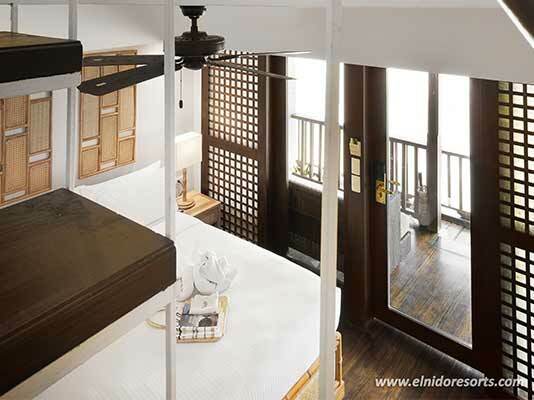 Each of the 44sqm rooms can accommodate two persons. Miniloc Island is also known as the “Eco-Discovery” resort and it offers unique and exciting discoveries around the resort. 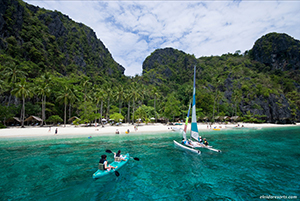 Airswift offers daily flights from Manila to El Nido, Palawan. Travel time is approximately 55 minutes using a 48 and 72-seater ATR aircraft. 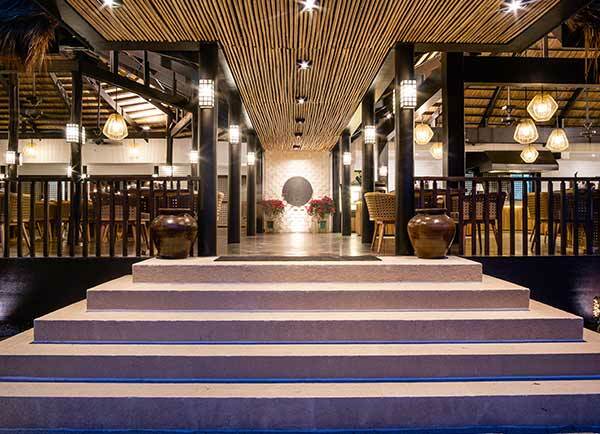 Upon arrival at Lio airport in El Nido, guests will be welcomed by the resort’s airport representative and will be guided to the Terminal Exit. 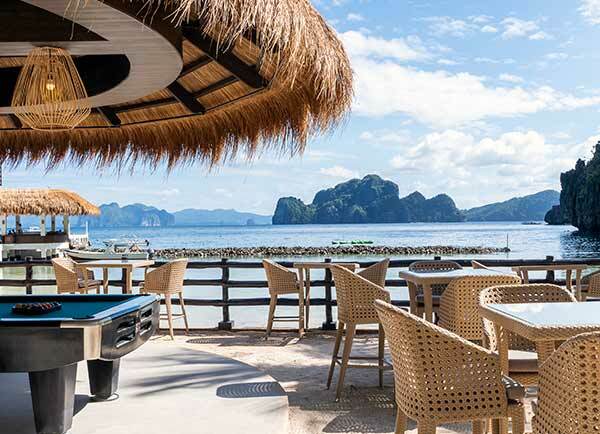 There will be a 10 to 15-minute club car ride to the El Nido Resorts Jetty Lounge followed by a 30 to 45 minute boat ride to Miniloc Island depending on tide and weather conditions. View boat transfer schedules for Miniloc Island guests here. 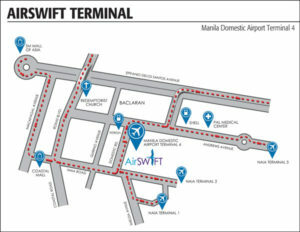 Boat transfer schedules are based on AirSwift flights arrival and departure schedule. Subject to change without prior notice. Please contact Miniloc Island at +63 (02) 902 5985 or +63 (917) 843 7819 at least (2) days from your arrival date for final confirmation of the jump off point to the resort. For your boat transfer schedule to Miniloc Island, kindly email your reservations agent or call them at +63 (02) 902 5934 at least (2) days from your arrival date for final confirmation. 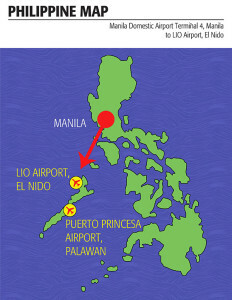 El Nido is also accessible by land from Puerto Princesa City, Palawan. 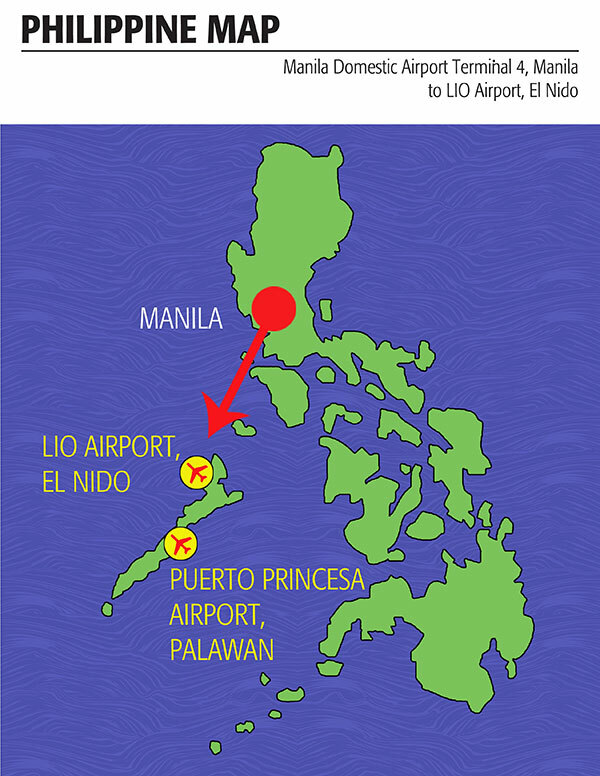 It takes approximately 6-hours to travel by land from Puerto Princesa City to El Nido, Palawan. 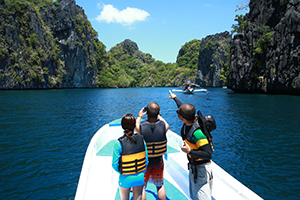 Airswift airline offers flights from Busuanga airport (Coron) to El Nido, Palawan. Flight takes approximately 40 minutes. San Vicente, Palawan is also a jump-off point to El Nido, Palawan. It takes approximately 3 hours to travel by land from San Vicente, Palawan to El Nido, Palawan. Please note your island resort’s boat transfers schedule before booking your preferred van transfers from San Vicente, Palawan to El Nido, Palawan and vice versa. 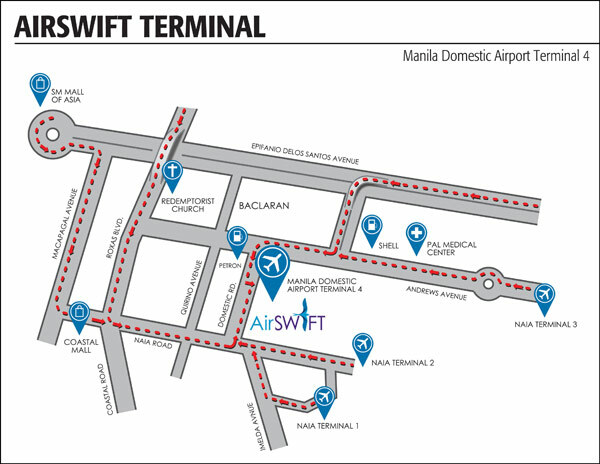 For AirSWIFT passengers and guests staying near Lio Airport, club car transfers are located beside the Lio Airport Terminal Exit. 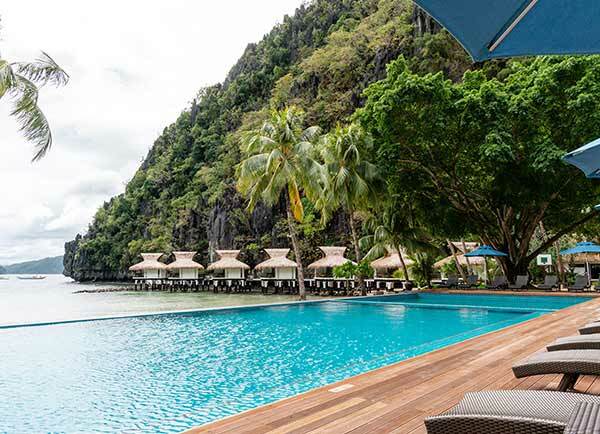 For guests staying in El Nido Town and Corong-Corong, transfers are available at the Lio Tourism Estate, El Nido Resorts’ Jetty Lounge. 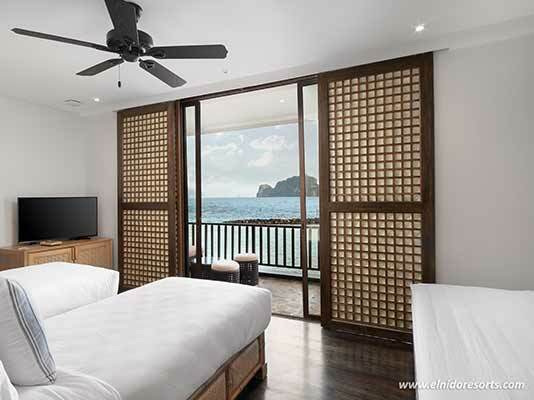 Guests must present their El Nido Resorts’ Room Vouchers to Estate Security to access the Jetty Lounge. Cut-off time for special arrangements is 1 hour before scheduled departure of the resorts’ complimentary boat transfers.